Dihydrocodeine belongs to a group of medicines called opioid analgesics. Dihydrocodeine is indicated for the relief of moderate to severe pain, and may be prescribed when other painkillers, such as paracetamol or ibuprofen have proved ineffective. Please note our doctors will only prescribe up to a maximum of 6 tablets daily. Meaning 100 tablets should last 16 days. If you require a higher dose than this you should visit your GP to discuss treatment. What is Dihydrocodeine and what does it do? Opioid analgesics work by stimulating opiate receptors in the brain. When stimulated, these receptors reduce pain, however, they do not treat the cause of the pain. 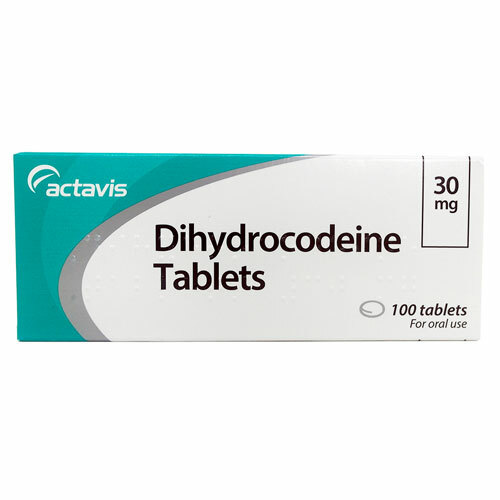 Dihydrocodeine may be prescribed to relieve mild to severe pain, for example due to sciatica, Paget’s disease and shingles. It is primarily prescribed when a milder painkiller has been tested but proved ineffective. Chronic use of dihydrocodeine may lead to dependence and tolerance. It is important that you consult your doctor before stopping the treatment or adjusting the dose. Do not take for longer than instructed by the doctor. Is Dihydrocodeine suitable for my condition? This depends on your medical history and whether you are taking any other medication. Some conditions and medicines can affect the suitability of dihydrocodeine, and may lead to side effects and other health implications. If you are allergic to dihydrocodeine, any other opioid analgesic or any of the ingredients listed in the patient information leaflet. If you have been told you have pheochromocytoma, a tumour of the adrenal gland near your kidney. If you have severe problems with breathing. If you have increased pressure of the brain or have just had a head injury. If you are suffering from alcoholism, are at risk from a blocked intestine or severe stomach cramps caused by biliary colic. If you have been told you have a liver disease or are suffering from severe diarrhoea. It is important that you include any medical condition you may have, both diagnosed and undiagnosed when you fill in the medical questionnaire. What is the recommended dosage of Dihydrocodeine? You should follow the doctor’s instructions on how to take this medicine. The doses outlined below is for your reference only. Unless instructed differently by the doctor or pharmacist, take your tablet(s) with a glass of water. Never exceed the stated dose. The usual dose is one tablet (30mg) every four to six hours. This dose should be reduced in elderly patients, if you have kidney or liver problems or have a medical condition. The doctor will decide what dose is best for you based on the information you provide in the medical questionnaire. Never double the dose.Do not stop taking this medicine without telling your doctor first. Does Dihydrocodeine cause any side effects? Feeling sick or being sick (vomiting). You can find more information about side effect in the patient information leaflet. It is important that you familiarise yourself with the possible side effects of this medicine so that you know when to seek medical care. Do not drink alcohol while taking dihydrocodeine tablets. While filling in the medical questionnaire, remember to include any other medicines you are taking. Dihydrocodeine can affect how other medicines work, so it is important that you tell our doctors about all medicine you take. Don’t forget to also include over the counter medication and supplements. Read through the patient information leaflet to find out whether to take the medicine with food or on empty stomach. Some medicines can cause stomach upset when taken on an empty stomach. How do I buy Dihydrocodeine online? To legally and safely buy dihydrocodeine online you need a prescription from a GMC (General Medical Council) registered doctor. Our online doctor service allows you to request a prescription through a medical questionnaire. Once you have chosen your medicine and submitted the questionnaire, it will be reviewed by one of our doctors. If suitable, the doctor will accept your request and a prescription will be issued. 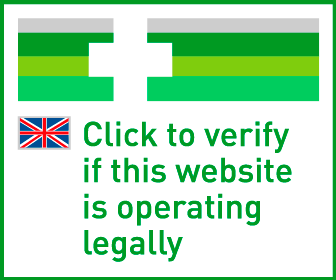 Your medicine will then be dispensed by our UK pharmacy and sent by tracked delivery to your chosen address. Your medicine is usually dispatched within 24 hours after ordering. Always read the patient information leaflet for dihydrocodeine before use. NHS Choices - Which painkiller? Please be aware that this type of medicine can cause addiction. Take ONE up to FOUR times per day. Please DO NOT exceed SIX tablets in 24 hours. DO NOT use with any other opioid medicine. CAUTION: Can lead to ADDICTION if misused.